Are you considering remodeling your home? Is your family growing or do you simply need more space? You have come to the right place. Metropolitan Design/Build can create that new livable space for you and your family to enjoy for years to come. It takes an experienced remodeling contractor like Metropolitan Design/Build to create that one of a kind solution and that can truly understand your remodeling project ideas. At Metropolitan Design/Build we have over 26 years experience in the construction industry and have performed countless remodeling projects for homeowners around the Washington DC metro area. 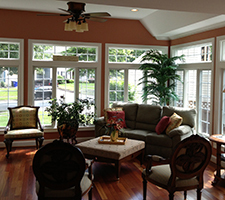 We have a high degree of technical knowledge and hand hands-on construction experience in home remodeling. We are able to offer meaningful suggestions for all remodeling projects and are experts when it comes to solving design problems. 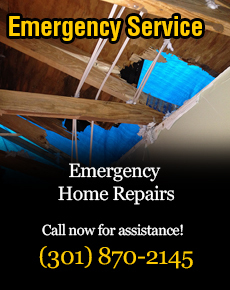 We hold licenses in Maryland, DC, and Virginia for remodeling services. At Metropolitan Design/Build, we specialize in remodeling kitchens. With our vast knowledge in kitchen remodeling, we can bring your old. dark, undersized kitchen into the future with ample work spaces and functional designs. We can work with you to design a new kitchen that is specific to your needs and requirements. Our expert craftsmen can transform your old kitchen into the centerpiece of your home that will reflect its true character. Let Metropolitan Design/Build bring your kitchen remodel project to life. Do you need a new bathroom? Is your bathroom outdated, cramped and lacking style? At Metropolitan Design/Build, we understand bathroom remodeling and have been remodeling bathrooms for homeowners around the beltway for over 26 years. Did you know that remodeling your bathrooms is one of the best returns on investments you can do in your home? Don’t wait. Call us today and we will help you get started on your bathroom remodeling project. At Metropolitan Design/Build details make the difference. When it comes to remodeling, we have the right ideas and craftsmanship that will make your remodel project say “Wow”! No matter what the remodeling project may be, perhaps adding some new functionality to your kitchen, updating a bathroom, creating a home office or new entertainment room, the attention to detail is what makes your project stand out. Don’t just settle for a “just so-so” remodel project, contact us and we can provide you with innovative ideas and stylish layouts and designs. Performing a remodeling job right with the correct choices will make a huge impact on how your home will look. An experienced remodeling contractor such as Metropolitan Design/Build brings years of experience to the project which allows us to better understand the complexities each remodeling projects bring. We can help match materials, blend old with the new, and make your remodel project something you will be very proud to call part of your home.